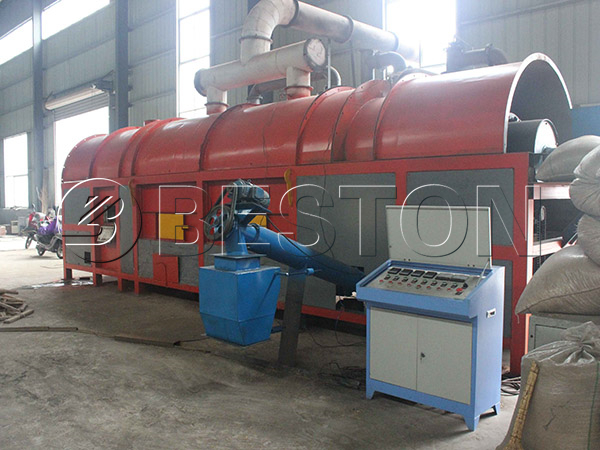 Beston wood charcoal machine, which adopts the biomass carbonization technology can help you make charcoal from wood waste. By using this machine, you can make full use of those wood chips, wood shavings, even the rice husk, straw, coconut shell can also be the raw materials. If you are curious about the wood charcoal making process, learn more here. 1. Make sure that the size and the water content of the wood waste can reach the standard. Otherwise, we can provide you with the crusher and dryer. Then processing the wood chips, shavings, waste tree branch in the carbonization host. 2. The raw material is sent to the carbonization host by the belt conveyor in a uniform speed. 3. During the process, the produced combustible can be recycled. So when the amount of combustible gas is enough and steady, the combustible gas can replace the LPG to heat the reactor, in this way, the energy cost is saved. 4. After the process, you will get the wood charcoal. 5. Wood charcoal comes out from the cooling tank. With the help of waster cooling, the charcoal temperature is 30℃. 6. The wood vinegar and tar are also the end products. 1. The main product is the wood charcoal, which has a higher carbon content than the common charcoal. The wood charcoal can improve the soil quality, and it is also a good material in barbecue. 2. The tar is useful material in medicine, synthetic rubber and metallurgical and other fields. 3. As for the wood vinegar, it is a kind of chemical raw material, so it can be sold directly. You can also use it to make pesticide, which can replace the chemical pesticide. 1. The best carbonization temperature is about 400-600℃. In addition, the plant is equipped with the pressure and temperature real-time display system, which can ensure that the plant can work in a normal temperature and pressure. 2. The one fire, two steps method can save the energy cost for the investors. And we can design the heat source of the plant according to the demand of the customer based on the local fuel material. 3. The carbonization rate varies because of the quality of the raw material, and basically, the carbonization rate is 4:1. 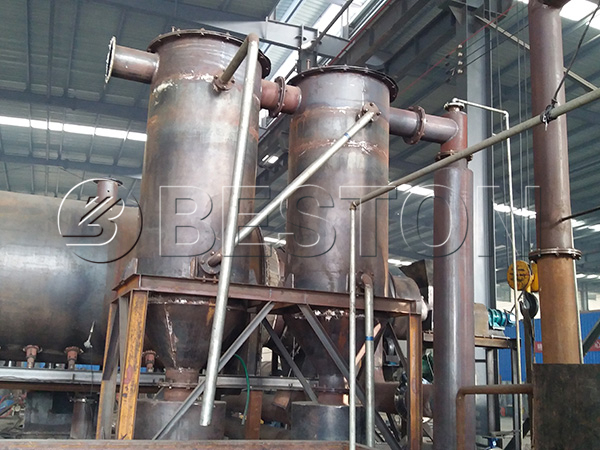 If the quality of the raw material is good enough, the carbonization rate can reach 3：1. 4. The sealing system can make sure that the whole making charcoal from wood pyrolysis process is completed in an oxygen-free condition. 5. Last, we can also equip the plant with the PLC system according to the special need of the customers. 1. The double-layer design can make the carbonization host contact the hot air as much as possible, so the heat utilization efficiency is higher than other plants. 2. The optimized multi-pipe design of hot exhaust gas recycling pipe, carbonizing and fission heat collecting pipe, flash steaming steam collecting pipe, combustion emission collecting pipe can also raise the heat utilization efficiency. 3. 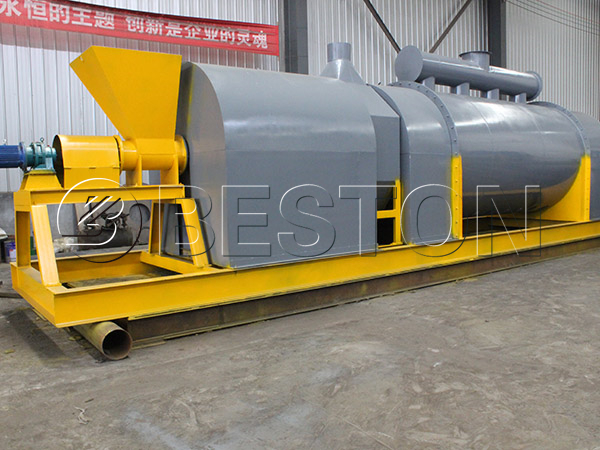 Under the inspection of related institutes, the heat use ratio of wood chips charcoal making machine is over 85%. If you want to have a close look at wood carbonization plant and make a deep understanding of our company, you can also come to visit us. If you want to get the wood charcoal machine price, please contact us online.